Back to the 80s: N is for New Order. It’s time once again for my A-Z Challenge of 1980s music. We’re just over the half-way mark now, so we’re getting closer to the end of my biggest blogging challenge yet. It’s certainly been interesting and at times, a bit of an eye-opener, regarding some of the bands I’ve covered so far. It’s good to know that some of these bands and musicians don’t always follow the road to obscurity after they’ve reached a certain level of success. 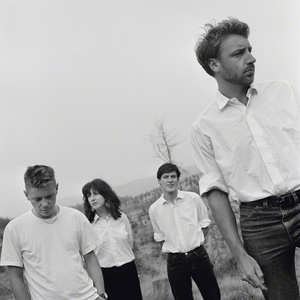 New Order were formed in 1980, with the remaining band members from Joy Division, after the death of Ian Curtis. Gillian Gilbert was invited to join the band in the same year to play keyboard and guitar. After the release of their first album, New Order were introduced to post-disco and electro, which saw their music go in another direction. In 1983, they released their second album and ‘Blue Monday‘ was released as a separate single. The song would go on to become one of their most successful, being widely acclaimed and widely covered since its original release. They released four more albums, including Brotherhood in 1986, which featured ‘Bizarre Love Triangle’ (later to be ranked by Rolling Stone magazine as one of the 500 greatest songs of all time), but it wasn’t until 1990 that they had their first No.1 UK hit. Over the years, there were issues with band members and recording labels, but they released more albums, toured and worked on various side projects. They continue to release albums and tour to this day. Other bands formed or who had hits in the 1980s starting with the letter N include:- Noiseworks, 1927. What other bands of the 1980s that begin with the letter N can you think of? What has been your biggest blogging challenge? Previous Post Writing & Creating Change. Next Post Listening to Audio Books.